Your favourite hymns, recorded just for your kids. 11 popular hymns perfomed in a contemporary worship style that kids will love, including 'Amazing Grace' and 'What A Friend We Have In Jesus'. 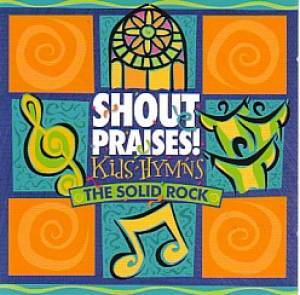 Shout Praises Kids Hymns - The Solid Rock CD was published by Integrity Music in October 2005 and is our 23687th best seller. The ISBN for Shout Praises Kids Hymns - The Solid Rock CD is 000768359525. Be the first to review Shout Praises Kids Hymns - The Solid Rock CD! Got a question? No problem! Just click here to ask us about Shout Praises Kids Hymns - The Solid Rock CD.